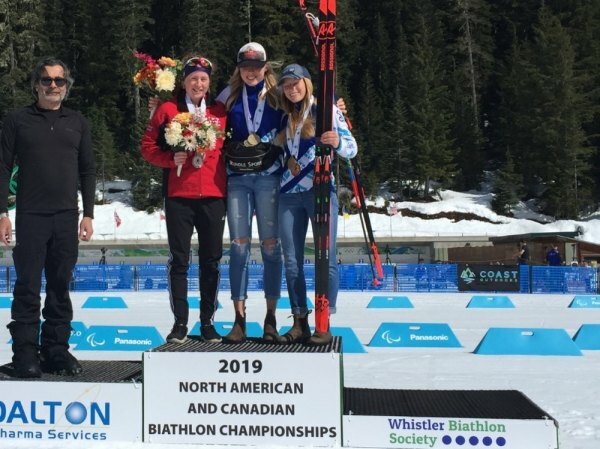 The 2018-19 racing season has ended for Shilo, claiming her title as the 2019 North American and Canadian Biathlon pursuit Champion. Living and training this season in Whistler Shilo and her best friend Zoe have decided to return back to Ontario for the upcoming new 2019-2020 season to live, train, and go to university. They both felt that returning back to Ontario was a better decision for them both at this time. Schooling is important to the girls and none of our Canadian National Training Centres have any Universities close by. Online courses were really the only option, which is a harder way to go if planning on doing university. Shilo and Zoe packed up their belongings and are now driving back to Ontario, making stops along the way, enjoying their well-deserved time off. It was a great learning experience this season, but Shilo is looking forward to what will come in the future. Sister Chandra is looking forward to having Shilo live closer to home. 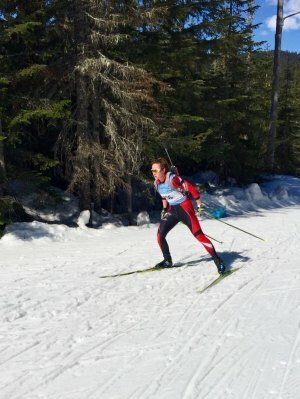 During Shilo’s 2018-19 racing season she competed in 35 cross country skiing and biathlon races, logged over 700 hours of training, finishing up her grade 12, and worked a part time job in Whistler. This makes for a long season. Many exciting things have happened for her. Finishing the season off as the 2019 North American and Canadian Biathlon Champion in the pursuit race was a bitter sweet ending. She shot a personal best in this race, hitting 19 out of 20 and only missing her very last shot!! 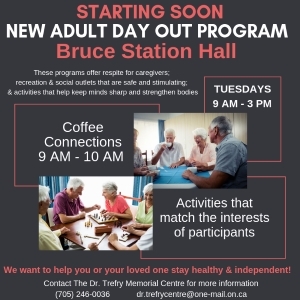 At these races Shilo also managed to take home a silver medal in the sprint race, and silver in the mixed relay team race, she couldn’t have asked for a better ending and coming home to the Town of Thessalon as a Champion is a great feeling. It just goes to show that yes a girl from a small town can do it, as long as you never give up and keep trying, and have the great support that she receives along the way makes it all possible. Shilo for three years in a row has managed to make team Canada’s World Youth/Junior Biathlon Championship Team and also the Junior World Cup team which is always a great accomplishment for an athlete. This year Shilo had a personal best at Worlds, with a top 30 placing out of 100 competitors in Osrblie, Slovakia. After the World Championships Shilo decided to stay in Europe instead of coming back to Canada to compete in the Canada Winter games as a preselected athlete. 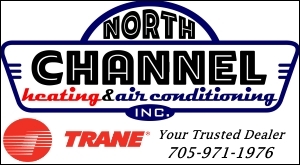 She just felt it would be too much, so instead she stayed in Europe and do some cross country ski races with her Ontario Ski team BXC and her sister Chandra. This was Chandra’s first time overseas and was a very exciting time for her. She was able to compete in the Norwegian Junior Cross Country ski nationals in Oslo, Norway. The girls also competed in the Sweden Volkswagen Cup, and Shilo managed a 10th place in a 5km skate race and also had a 14th place finish in a 10km mass start classic race, working her way up the pack from a 34th place starting position. Chandra really enjoyed visiting and racing in Europe, and learning from the European racers. Shilo stayed in Torsby, Sweden training and waiting for team Canada to arrive but because of the warm weather she had to get herself and her equipment to Sjousen, Norway where the race site had been changed to. A little stressed out at first, but with the help of a team Canada coach, she was able to get a ride with some Swedish people who were heading that way. Shilo was very grateful for their help, and it was quite the experience for her to be traveling on her own. Racing in the Junior Women Cup, Shilo was able to see and race at the biggest biathlon shooting range in the world, with 40 lanes. Her best finish at these races was 46th competing against athletes between 19 to 21 years of age and her only being 18 years. 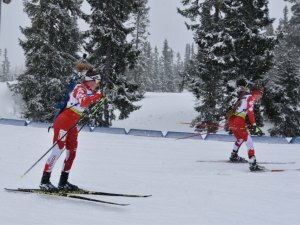 When the Junior Cup races were over team Canada had the opportunity to compete in the Norwegian Biathlon Nationals. During this event team members lived and trained alongside with Norwegian athletes of their own age. Shilo’s family that she stayed with was amazing and she will never forget them and hopes to be able to go back and visit them again someday. During this time spent with the family she was able to spend a day at their sports school. It is amazing how lucky they are to be able to attend school and just walk out the door of the school slap on your skis and rifle and head out to train as part of your schooling program. She said no wonder they are so good at Biathlon and cross country skiing if only Canadian athletes had this opportunity imagine how much better the opportunities would be for our Canadian athletes. It was sure amazing to see how other countries do things. At the Norwegian Biathlon Nationals Shilo manage to have a 7th place in a mass start and a 9th place in the sprint race. She was able to race only against her own age, which gave her a good insight to see how she fairs out with the Norwegian girls her age. Shilo was the top Canadian racer at this event, and was able to be up with the podium finishers because at this event they take top 10 to the podium. After making a post on Facebook Shilo received a message from the family that she was living with saying that it was a pleasure to have her living with them and that they had read in the NM (which must be a news article paper) that said Shilo has a lot of potential to be a world top biathlon athlete. Shilo and Chandra will continue pursuing their goals and dreams in the sports world and you just never know what will come their way.